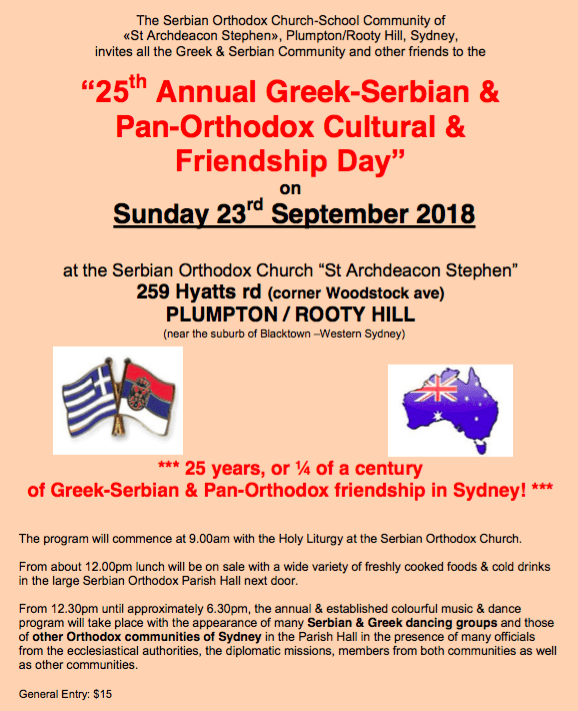 On Sunday 23rd September 2018, a milestone event will be celebrated in Plumpton, as the 25th annual Greek-Serbian and Pan-Orthodox Cultural and Friendship Day will be held. The day will commence with Holy Liturgy at the Serbian Orthodox Church, St Stephen The Archdeacon. Following, a variety of freshly cooked lunch options and drinks can be purchased from the adjacent Church hall. 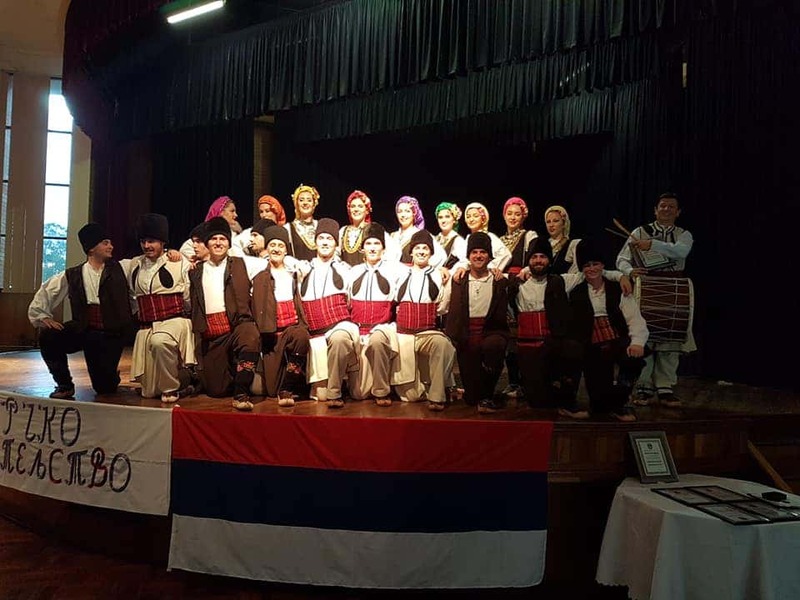 From 12:30pm, the entertainment program will start which includes live music and dancing from various Greek and Serbian groups. This year, attendees will also be able to watch Russian, Armenian, Bulgarian, Assyrian and Romanian performing groups. 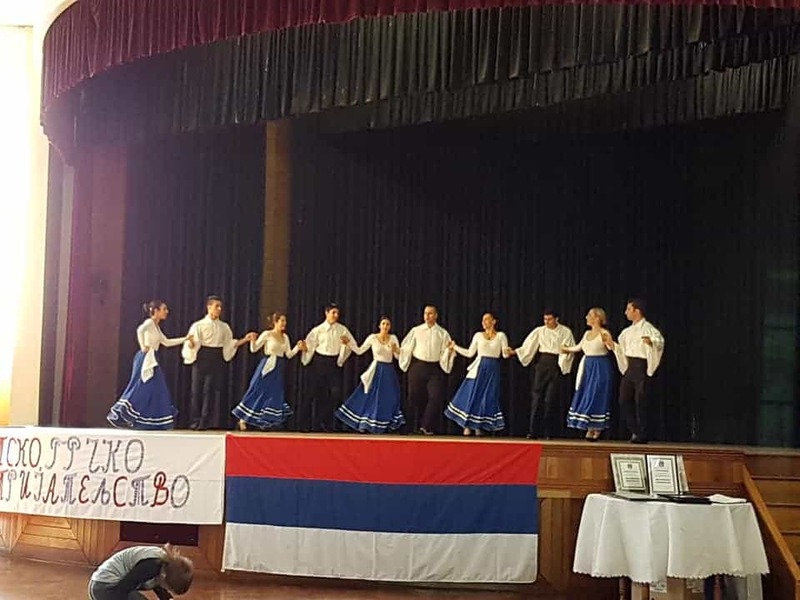 Supporting and honouring the event, many officials, diplomats , consuls, ambassadors and clergy from the Orthodox churches will be present on the day.